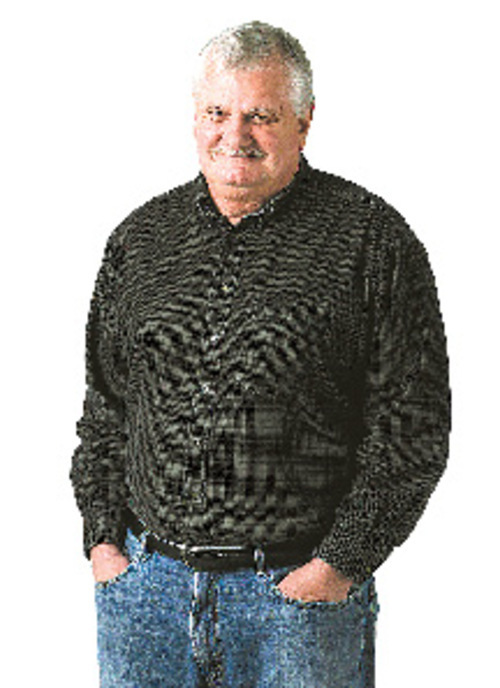 Rolly: Another pen name for West Valley City Mayor Mike Winder? Does Richard Burwash have a crazy uncle named Biddenden? That is the question swirling around blog sites and eventually picked up by City Weekly on its "Hits and Misses" page. Biddenden, as originally revealed by blogger J.M. Bell, is the user name of the person who created the profile on Wikipedia for West Valley City Mayor Mike Winder, aka Richard Burwash. Burwash, you'll remember, is the fake name Winder used when he sent favorable stories about his city to the Deseret News under its new citizen journalist program, a ruse that ended up embarrassing Winder and the newspaper and caused him to lose his job as government relations manager for the Summit Group. When Winder came clean, he said he picked the name Burwash because that was a town in England near where his ancestors once lived. Biddenden, too, is an English town where John R. Winder, an ancestor of the mayor, was born. Biddenden's contribution to the Winder's Wikipedia entry is quite complimentary to the mayor, pointing out books he has written and calling him a stand-out alum of Taylorsville High School. Blogger Bell implies rather strongly it is another sleight-of-hand by the mayor seeking good publicity for himself. Winder, however, did not take ownership of the name "Biddenden," telling me anyone could have used that name and added to the entry. Perhaps, he surmised, it was one of his many relatives. He pointed out that just about everyone on Wikipedia shows user names contributing to their profiles. Salt Lake City Mayor Ralph Becker's page was created by "Ta bu shi da yu," for example, and Salt Lake County Mayor Peter Corroon's Wikipedia entry was created by "Longhornfan1492." The page for Rep. Carl Wimmer, R-Herriman, was created by "JonMoore." "The Democrats must be nervous about me possibly running for county mayor, to make such a big issue out of this," Winder said. Running for mayor, he added, is something he still is strongly considering. Mayor Mike Winder, despite the Richard Burwash debacle, is not shy about pushing positive stories about his city. Winder has released through his public relations representative, Aaron Crim, a top-10 list of West Valley City stories for 2011. The list includes good news tidbits like a low number of ordinance violations, an "English Language" initiative, an energy-efficient garbage collection program, the redevelopment of Valley Fair Mall, improved traffic flow on Bangerter Highway, construction of a new Granger High School, announcement of a new 135,300-square-foot Target store, a new Larry Miller Megaplex coming to Valley Fair Mall, the opening of a West Valley TRAX line, and (drum roll, please, for the number one story) Fairbourne Station unveiled as the future city center, including a Hilton Embassy Suites Hotel. Funny. No mention of the ongoing investigation into the 2010 disappearance of Susan Powell, which the West Valley City Police Department has painstakingly kept in the news all year. While the Deseret News is still smarting over the "Richard Burwash" affair, Joe Jarvis, a physician, former legislative candidate and proponent of comprehensive health care reform, took the paper to task on the Health Care Initiative blog site recently for once again allowing a "citizen journalist" to push an agenda under the guise of news. Jarvis noted that "reporter" Jared A. Ballis wrote what appeared to be a news story about the benefits of high-deductible health plans, while leaving out the down sides to such plans. Jarvis pointed out that Ballis owns an insurance agency that sells high-deductible health plans. "You would think that the Deseret News would be more cautious when allowing access to the printed pages of the newspaper to non-journalists," Jarvis chided. But, hey, at least Ballis used his own name. Editor's note: The names of the users who created the Wikipedia pages for Becker, Wimmer and Corroon were incorrect in a previous version. They have been corrected in this version.